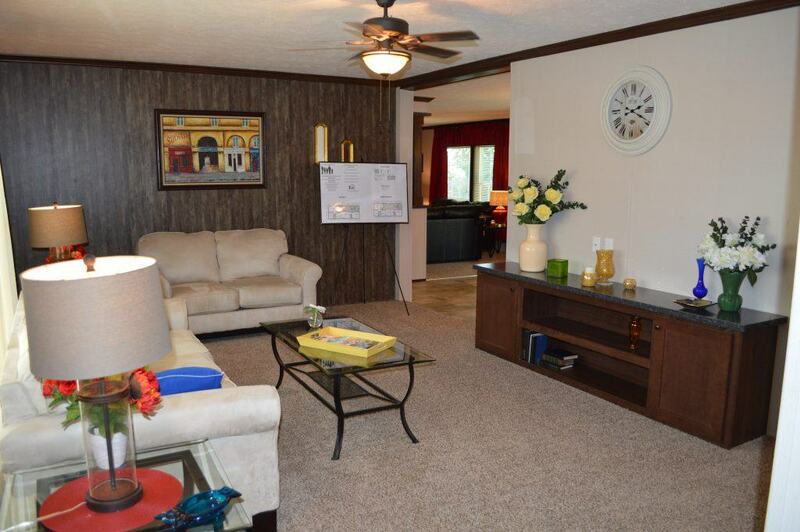 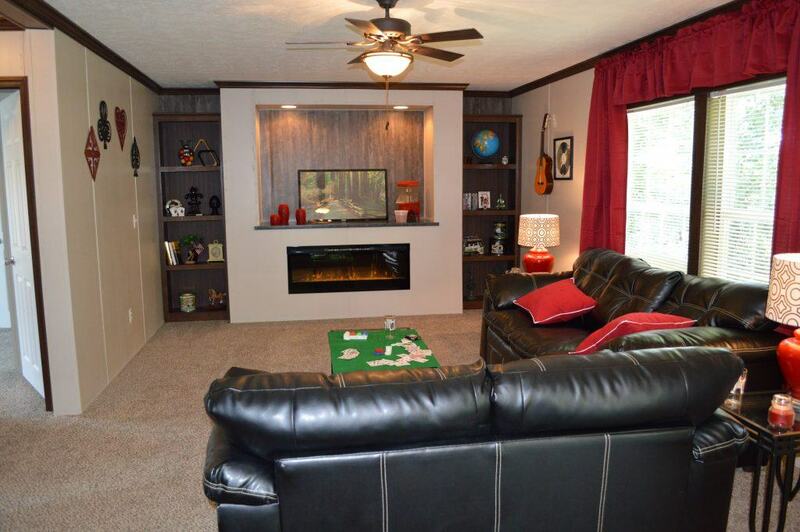 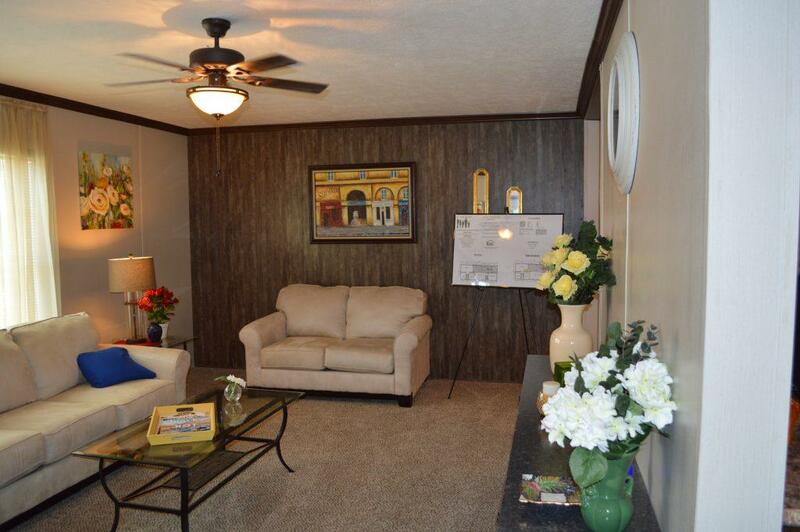 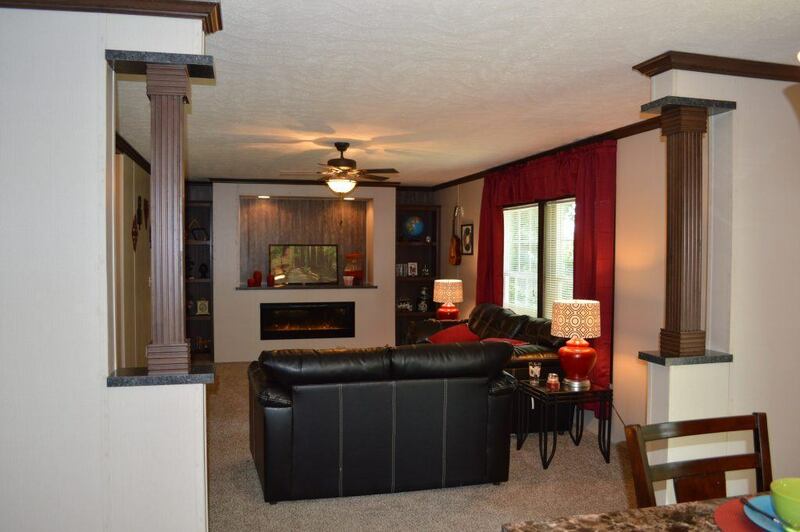 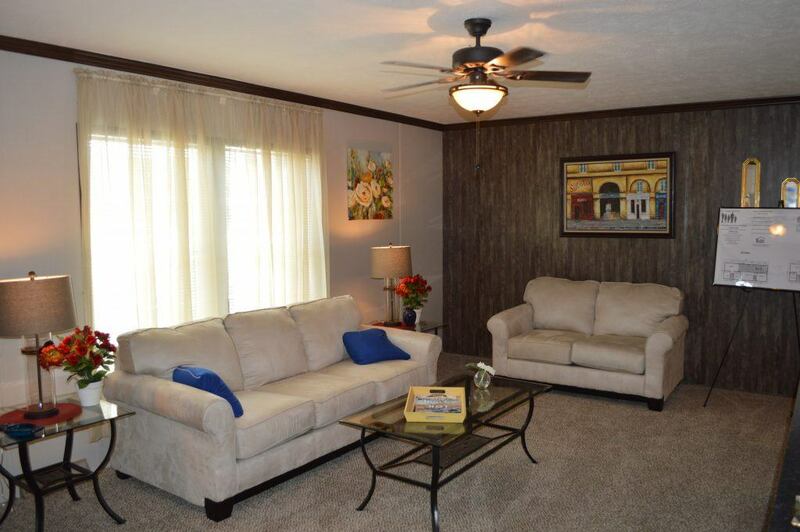 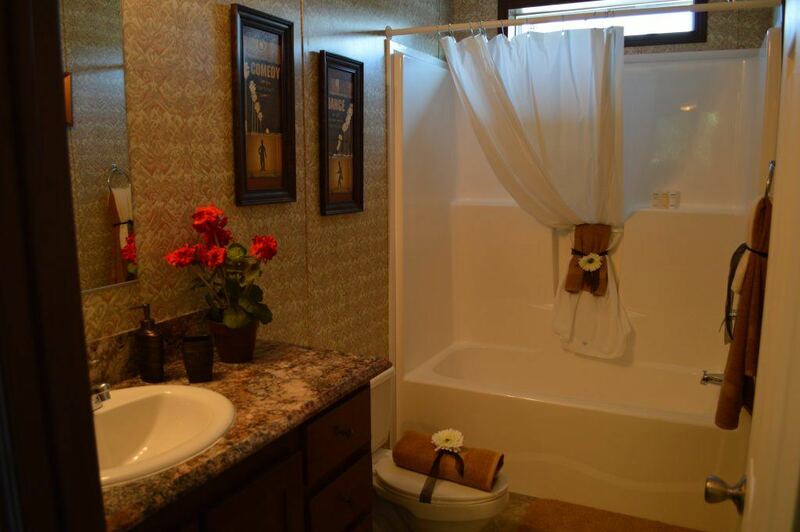 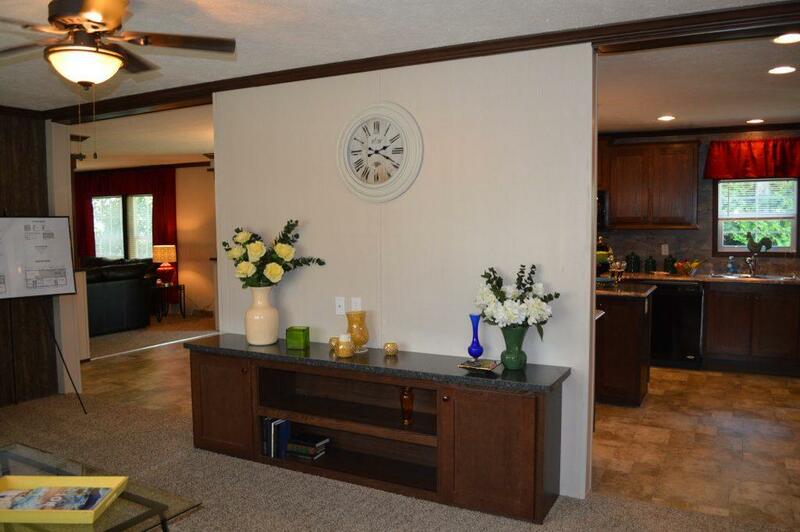 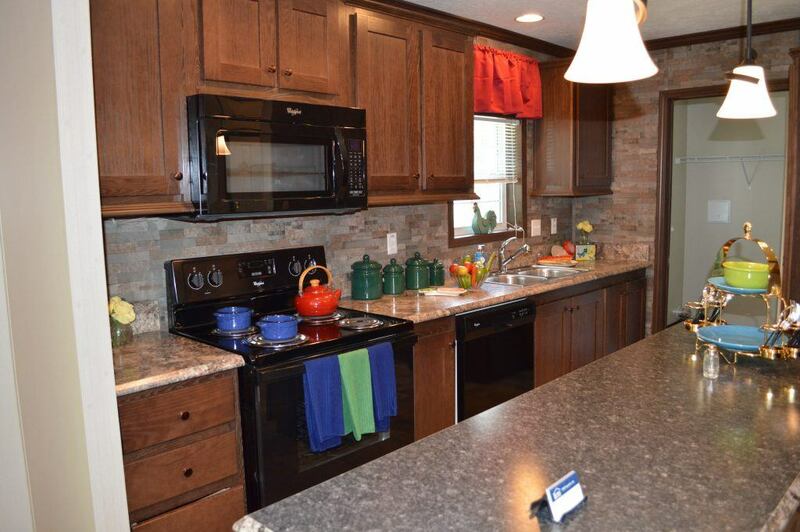 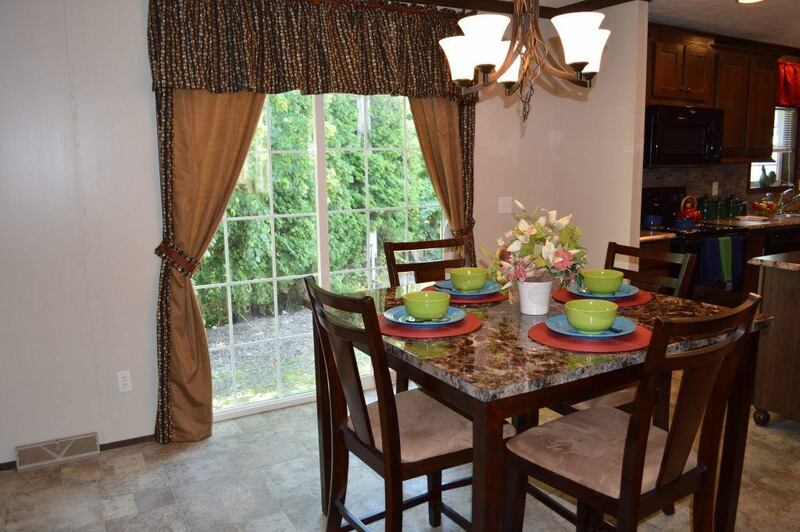 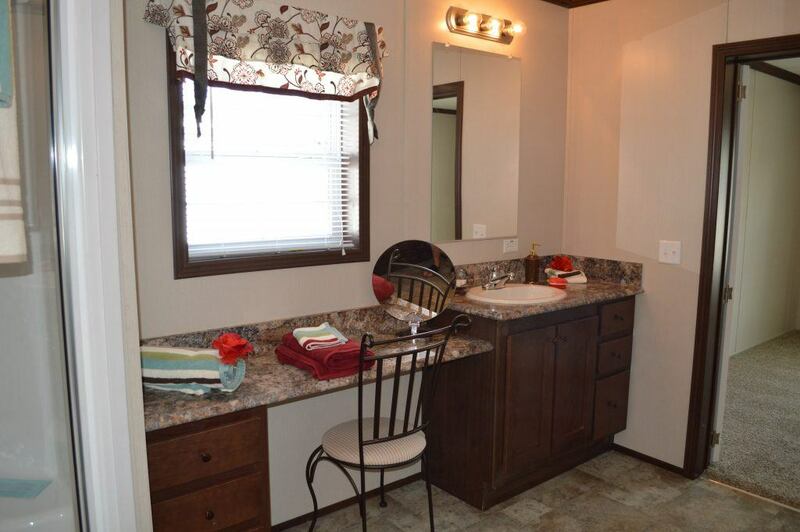 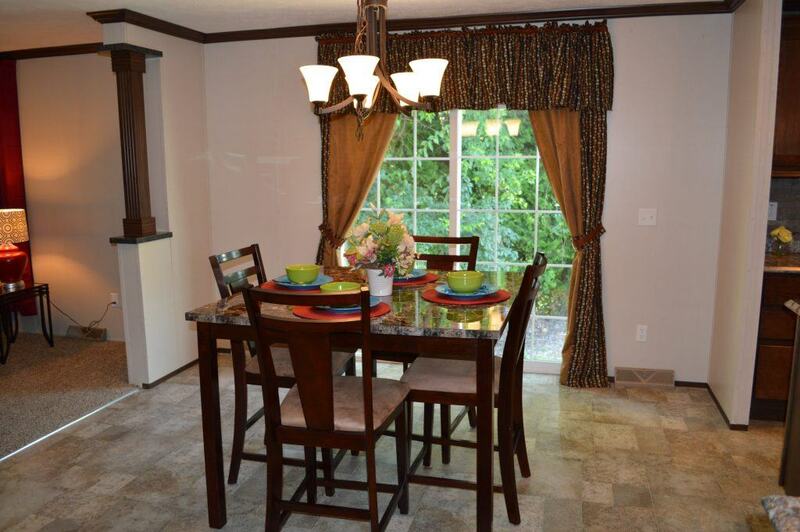 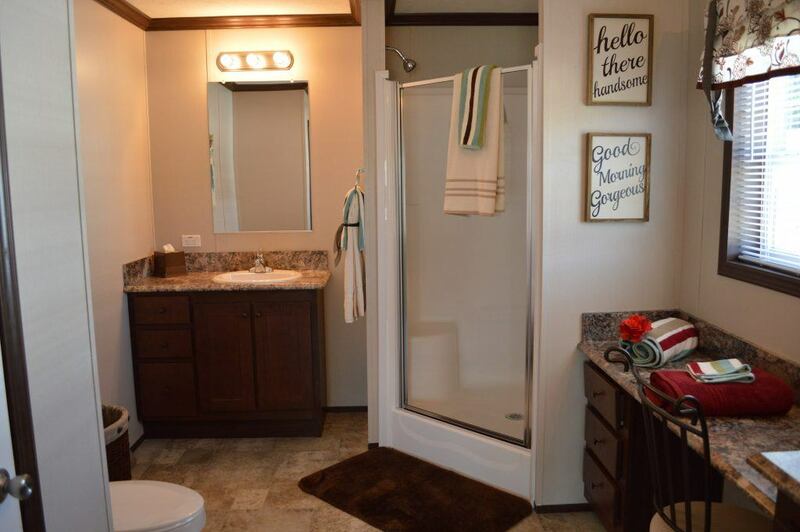 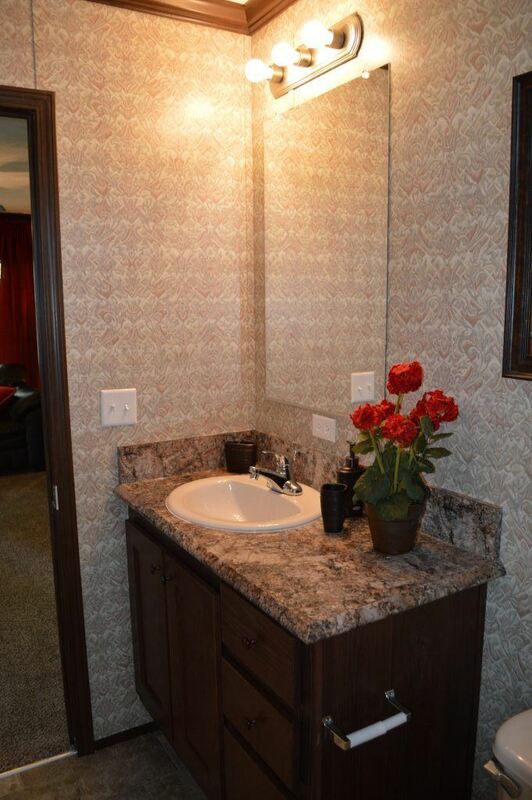 The Smarty Jones Model Home is a three bedroom, two bath manufactured home. 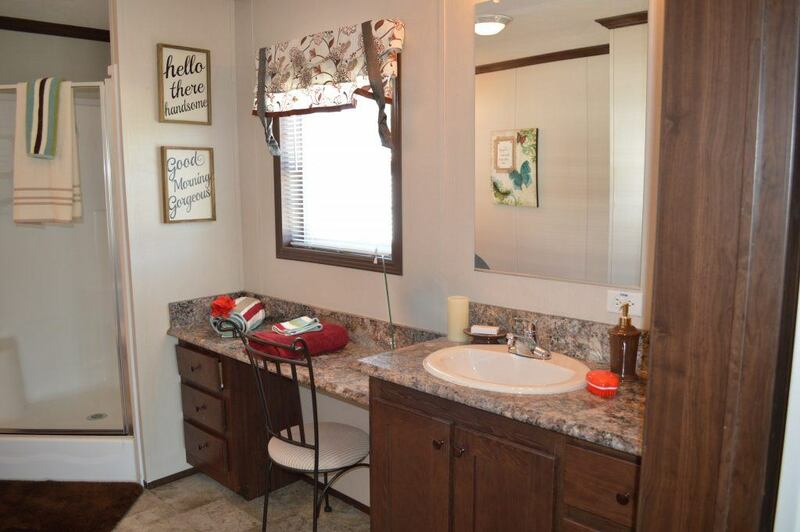 You’ll find plenty of items from your dream home checklist, so be sure to visit this model home today! 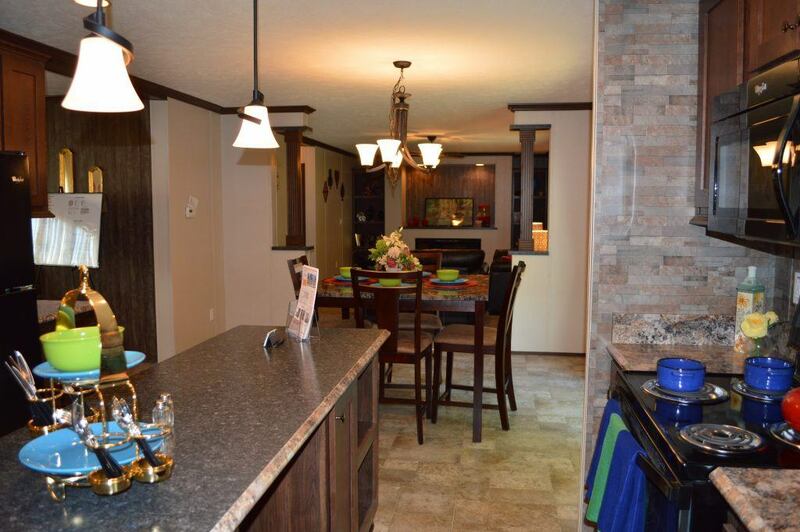 Recessed lighting and beautiful pendants make the spacious kitchen bright and inviting. 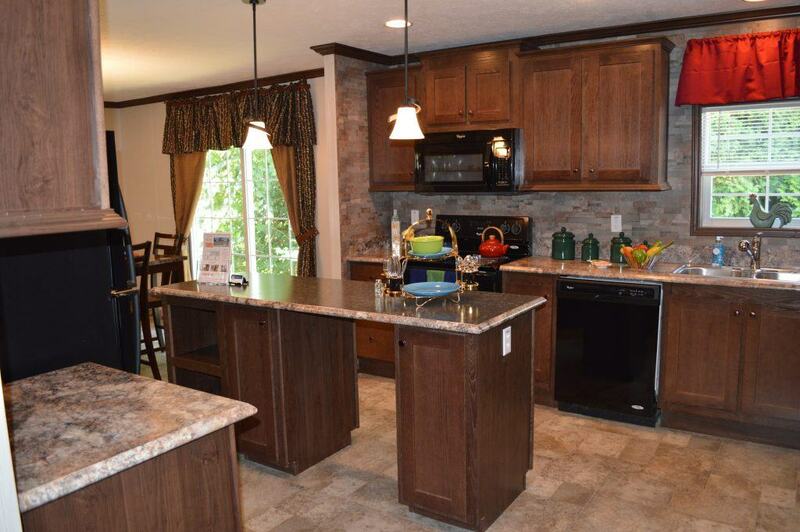 A large kitchen island with plenty of storage, solid wood cabinets, Whirlpool appliance package, and crown molding are just a few of the reasons you’ll love this home’s kitchen gathering space. 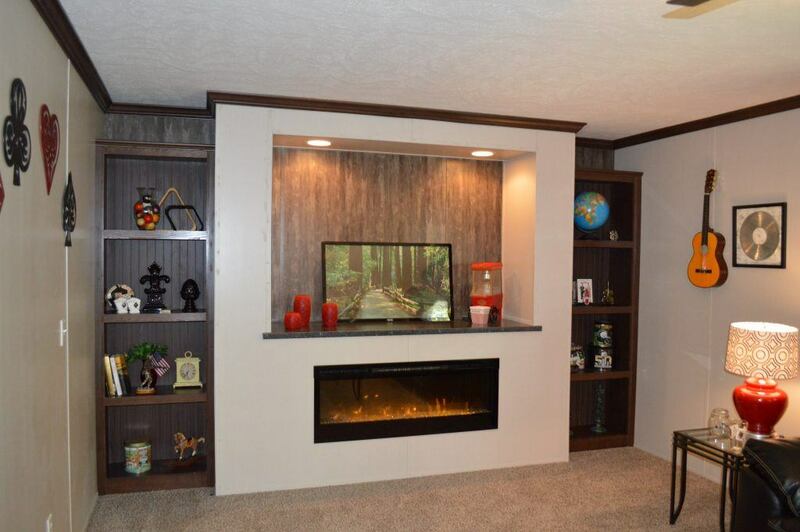 The adjacent living room features built in shelving and room for your flat screen TV over a stylish horizontal fireplace. 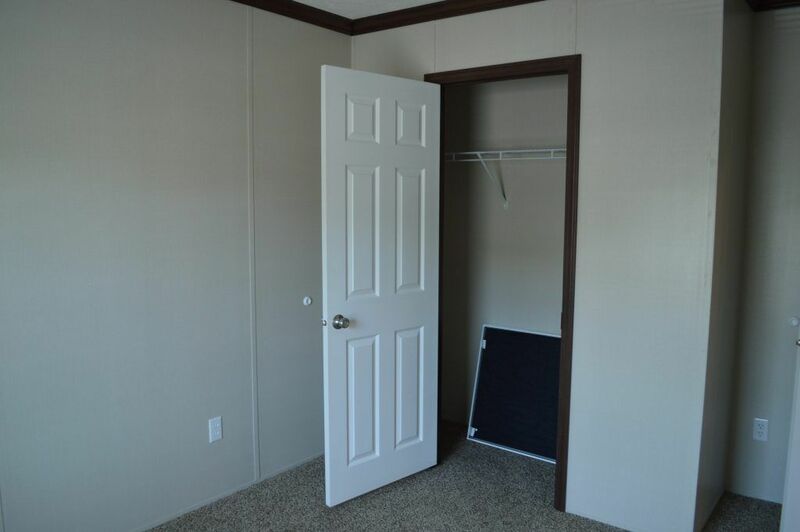 The Master Bedroom includes a walk-in closet and master bathroom with huge walk-in corner shower. 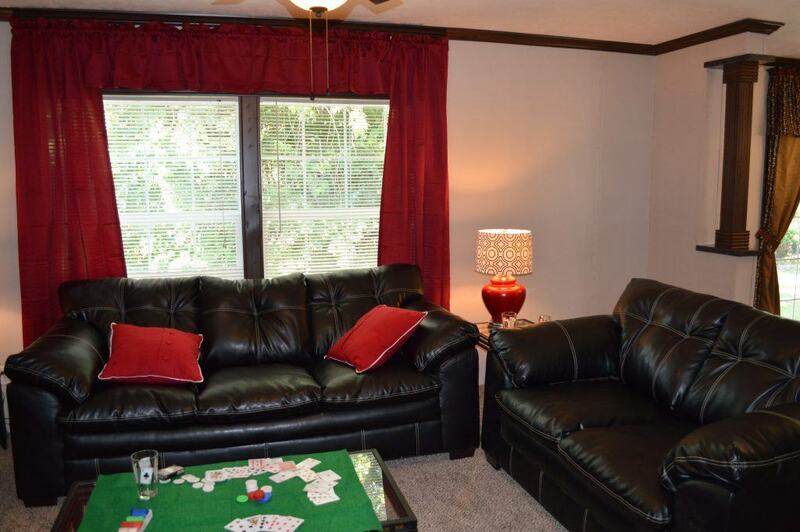 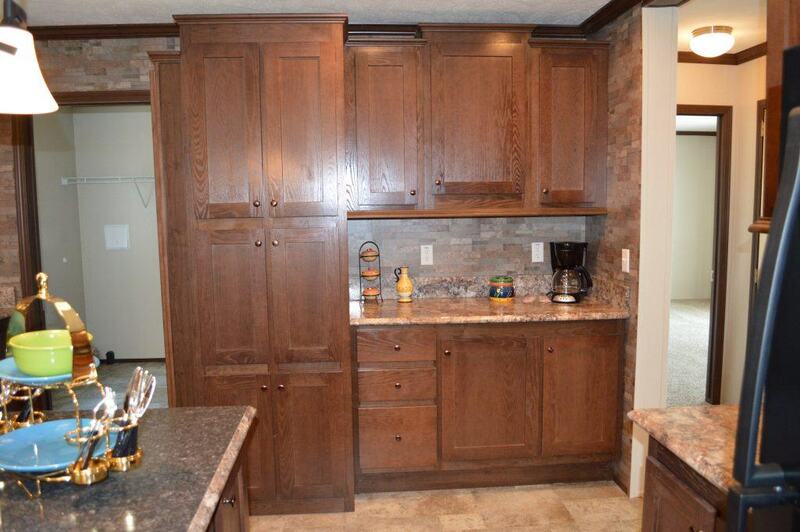 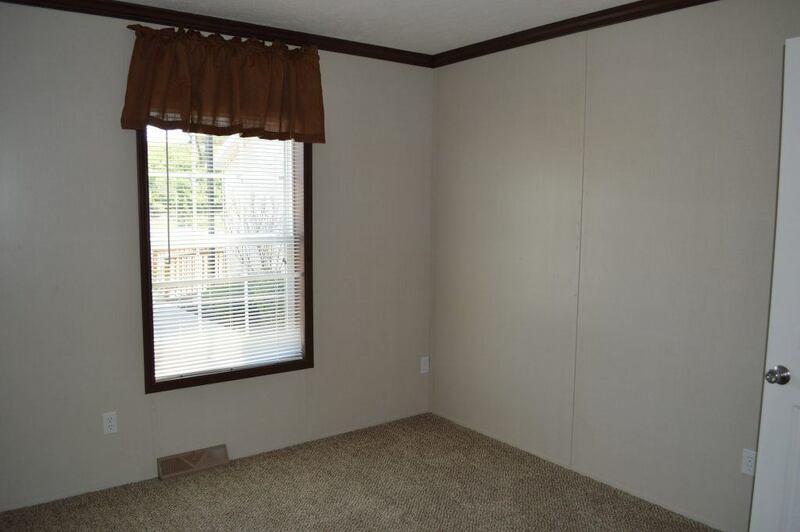 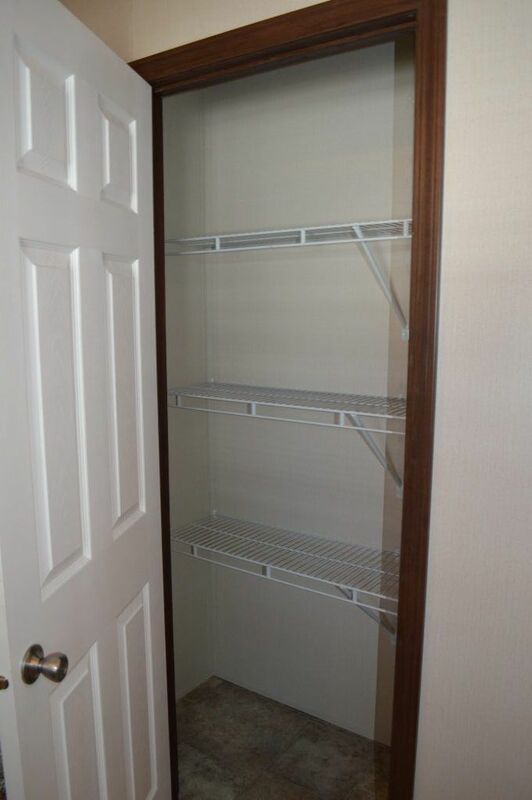 A conveniently located utility room includes washer and dryer hookups and a rear entrance just off the kitchen. 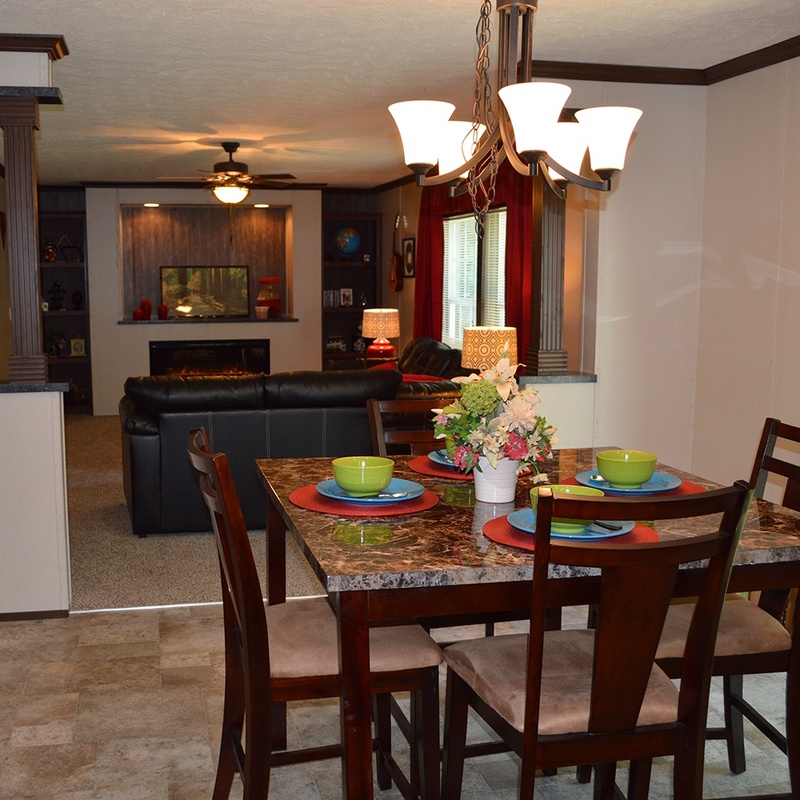 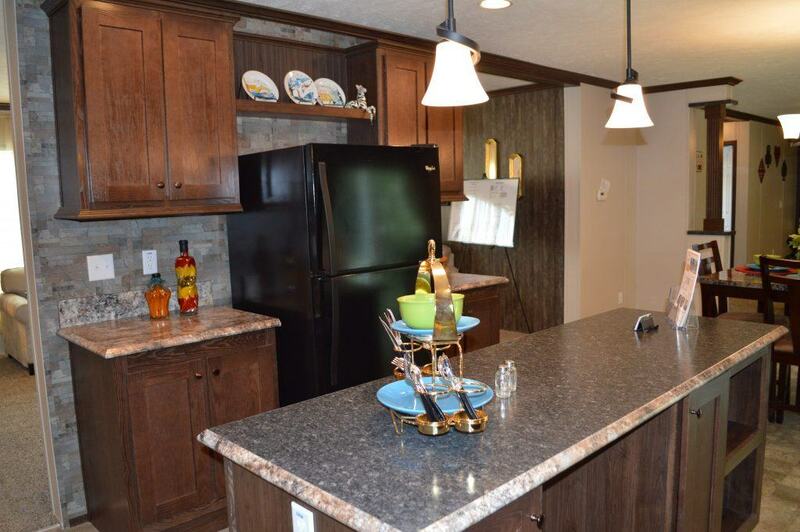 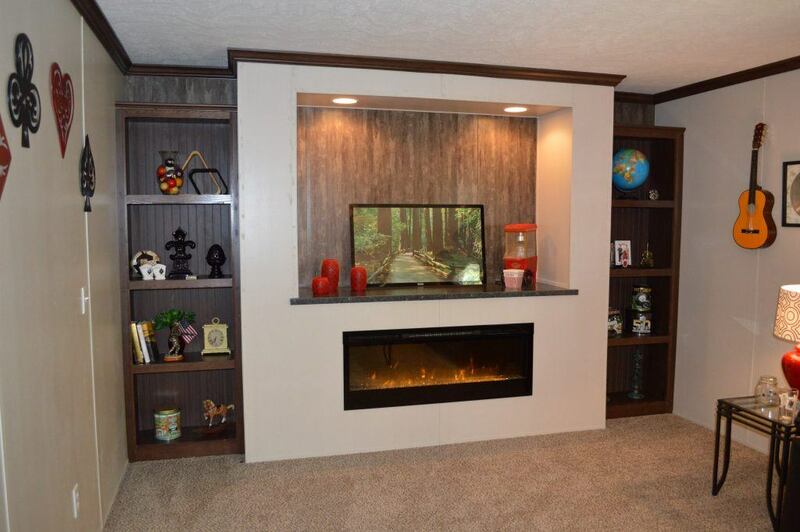 Be sure to visit this Eagle River model at the UMH Sales Center in Belle Vernon, Pennsylvania. 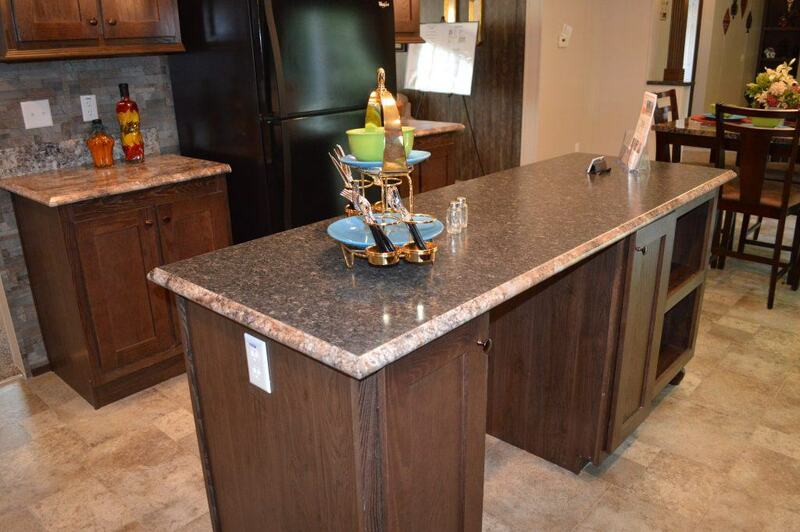 The Eagle River Landy Creek Double can also be ordered and delivered to any location. 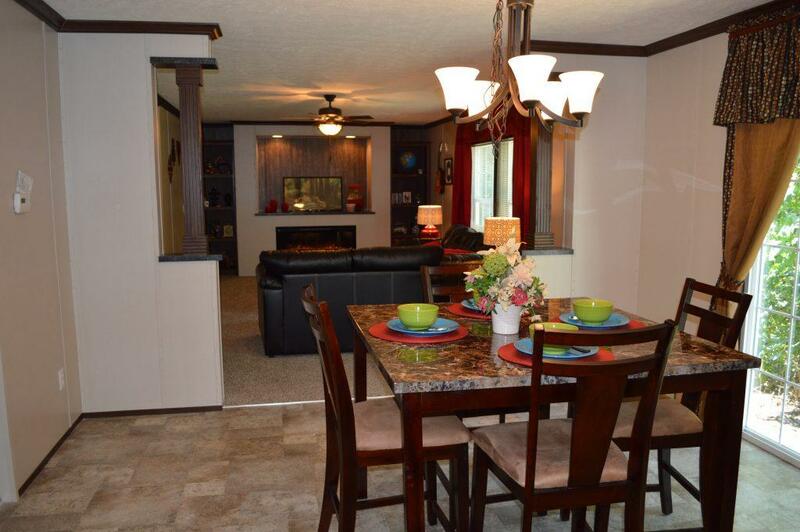 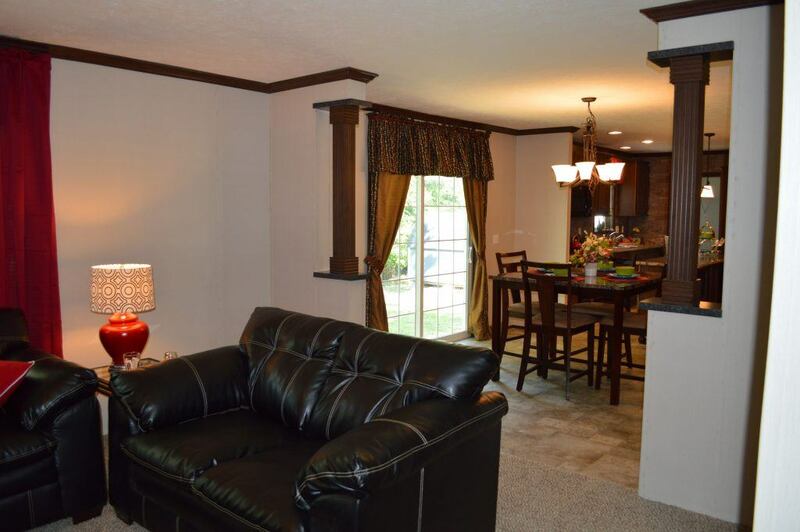 Or click to call (724) 243-3251 today to schedule a tour of this gorgeous model home now! 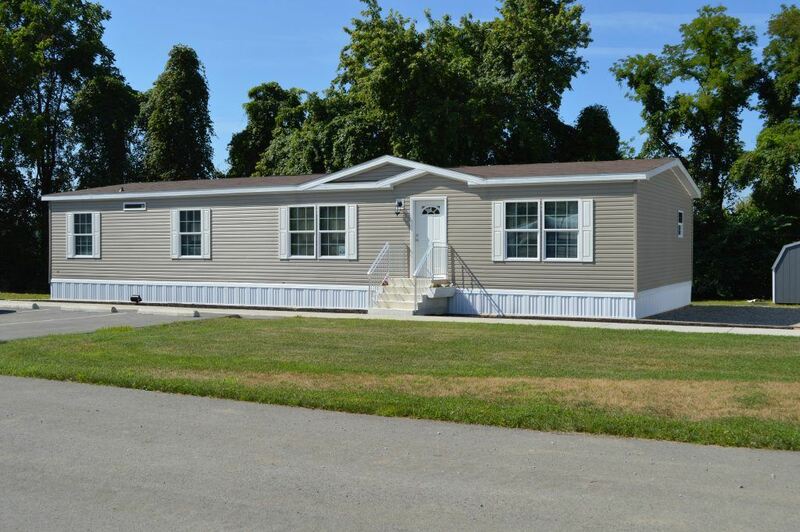 Contact Us Today or Visit our UMH Sales Center in Belle Vernon, Pennsylvania, to order now!